I found it! I found a VERY inexpensive version of the metal skinny belt that I drooled over on several waists on the red carpet, especially Jennifer Larence in Christian Dior and Gwyneth Paltrow in Stella McCartney. At the time of my post about The Belt of the Season, I could only find metal wide belts sorta within my budget. But thanks to GoJane.com I now have a skinny one for $8! Actually two. Yippee! Oh, it's the little things... or very cute little things. 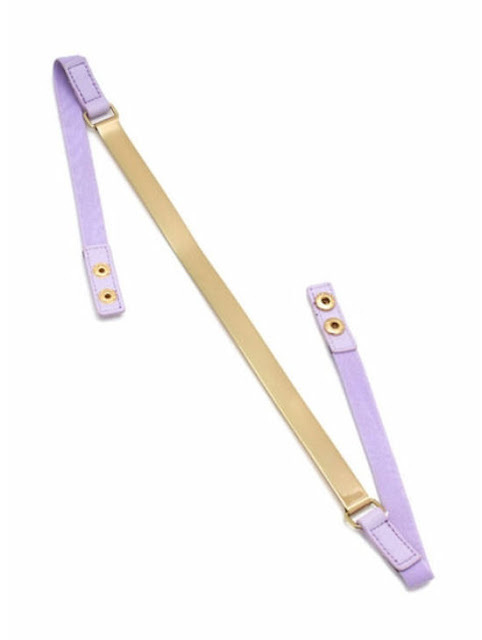 So anyway, I ordered the metal plate skinny belt from GoJane.com in gold and black and in gold and lilac. (Now it's only available in lilac.) I plan on wearing it as soon as the weather warms up with just about any of my dresses, but particularly this new mint skater dress from Akira in Chicago. I already paired it with an orange-red peplum top and black skinny pants for a birthday party. 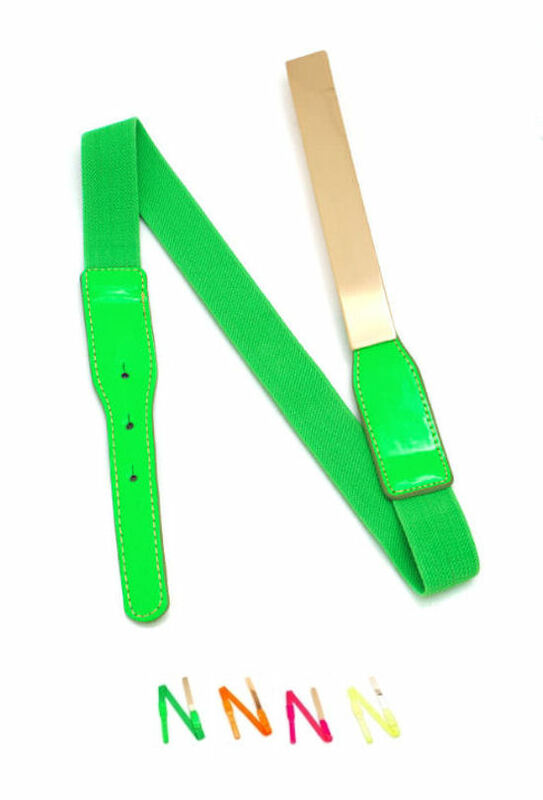 And now I'm itching for the neon belts... For more ideas on how to rock it, see Full Metal Belt: Born to Shine. How would you wear the metal skinny belt? Please tell me in the comments below.